This year’s UMSU election will be in full swing after nominations for candidates close Feb. 18. Now for the next step: where to vote? Chief Returning Officer (CRO) Jason van Rooy has finalized this year’s polling station locations across the Fort Garry campus in Fletcher Argue, Armes, Agriculture, Frank Kennedy, Drake and University College, plus two in University Centre. Polls will also be open at the Bannatyne and Inner-City campuses during the March 9, 10 and 11 election. 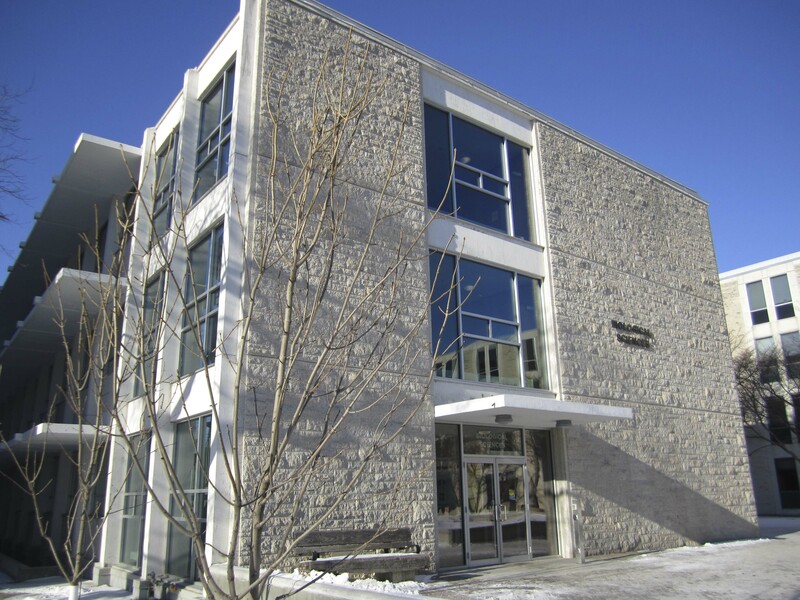 Van Rooy noted that there will be no polling station in Pembina Hall this year, as the electronic voters’ list system, which allows students to vote at any of the 10 locations, requires Internet access — currently not available in the residence. “The list is what keeps people from being able to vote in more than one place, so it’s very important we maintain the integrity of that system,” van Rooy said. “Any time that student number is re-entered, a big red flash comes up on the screen saying that student has voted,” he said. Students who say they haven’t voted have their ballot sealed in a double envelope for privacy, and the returning officers will then check the records to ensure that, for example, it isn’t an issue of a similar student number having been entered incorrectly. When the electronic voters’ list was first introduced in 2007, a number of students — including an engineering senior stick — claimed to have been able to vote twice, but van Rooy said he knew of no instances of that happening in the 2010 election. “There wasn’t wireless Internet across the campus at that time, so that may have been where the problems crept in, in the first election that was available,” van Rooy said. But, he added, that’s not the only thing keeping engineering students from voting. “There’s a lot of opinions that UMSU holds that are not necessarily in keeping with engineering [student] ideals, such as UMSU’s opinion on tuition fees,” he said. Engineering students voted to increase their own tuition fees by 40 per cent in 2007. Neufeld added that in his five years on campus, he’s also heard students voice discontent with the UMSU slate system. “There’s very strong opinions in engineering that — you’re an individual running for president, you’re an individual running for this position,” he said. “So instead of people coming out and voting against, they just don’t turn out,” Neufeld said. Van Rooy said while that the decision to pay poll clerks is not up to him, in his experience it’s part of UMSU’s mission to employ students, for both financial and work experience reasons. In previous years’ election budgets, staffing made up a majority of election expenses: in 2009, the returning officers (one chief and two deputies) collected a combined $16,500, while the poll clerks were budgeted to receive $10,000 in total. All the other costs, including paying for campaigns’ posters and other materials, added up to $7,000. The poll clerks receive UMSU minimum wage, now $10/hour, which includes some overtime pay to accommodate students’ class schedules. The poll clerk costs could creep down this year, as van Rooy is getting feedback from last year’s staff on eliminating the two extra poll clerks added to UC polling stations last year to speed up the voting process. Elections Canada donates voting kits, including the ballot boxes and voting screens, so the only other polling cost is printing the ballots. Third-year nursing student Kyla Siatecki said there’s no need for more polling stations. Van Rooy said he plans to continue last year’s plans to improve voter turnout, including putting up more posters and having volunteers distribute handbills. That does cost money, but not very much — “we can get 150 posters for something like $8,” he said. Sidebar: So why no online voting? UMSU has been looking into online voting as a way to improve turnout and cut costs for years, Chief Returing Officer Jason van Rooy says. “As a CRO, I think that online voting would be awesome,” he said. He also questioned the security of online voting. “If there’s any doubt as to whether or not the vote was secure, then it calls the entire election into question,” he said. For example, last year at the University of British Columbia, which instituted online voting in 2009, a tabulation error led the CRO to announce the president was impeached. He was not. “Having to have the election two or three times would end up costing quite a bit of money,” van Rooy noted.